We are all wise to seek out mentors in our lives. As good as we are, as evolved … personally and professionally … there are times where we need to bring more to bear in order to realize our greatest vision. That’s when we are blessed to have a mentor. 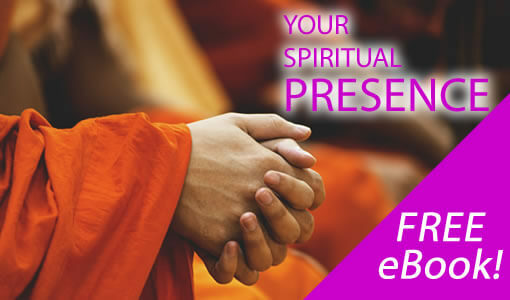 Why not give yourself that gift in pursuit of your most robust spiritual health? Maximize your soulfulness, in your personal life, and in your business life. Let creativity reign in your life, from a completely authentic, heart-centered vantage point. Why not schedule an appointment today? One thing that we know about this vast, ineffable universe of ours: it waits for no one. Never-ending in its creativity. Changing, growing, evolving. That same spirit is in us all, uniquely expressed. Let’s make the most of it! Schedule now! Take the first steps towards a more mindful, spirit-driven life. Bring empowerment into your world … in your relationships and in your business. Please accept this free eBook as our gift to you in celebration of your path towards more soulful living.